Welcome! We, at Sarsie's Parties, love celebrations! Our goal is to create parties that are memorable and fun from beginning to end. 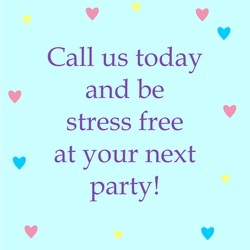 We would love to be a part of your celebration. Please fill out our contact form and we will get in touch with you the soonest possible. We look forward to making your event more memorable and extra special for you and your guests! Contact us today to secure your event date!